Cast your mind back to SIHH 2018 and you’ll probably recall that one of the most surprising releases was Baume & Mercier’s Clifton Baumatic. Notable for being powered by a COSC certified movement which generated a (frankly gratuitous) five days of power, the Baumatic played more or less unrivalled in the sub-US$5,000 space at the Salon, delighting newbies with its mixture of technical chops and approachable pricing. Given that it was so warmly received by the majority of journalists, it’s no surprise that for 2019 Baume & Mercier opted to expand on that burgeoning DNA with the Baumatic Perpetual Calendar — a novelty which runs headlong in the opposite direction to last year’s time-only three-hander. Undoubtedly the most complicated execution in the Clifton collection yet, the Baumatic QP is a 42mm calendar watch that features a solid 18K red gold case – a first for the brand. In stark relief to its time-only stainless steel cousin, the new Baumatic QP offers up a dose of complicated watchmaking wrapped in the finery of an 18K red gold case. From the get-go, it was the most expensive novelty presented by the brand at SIHH 2019; and it’s clear Baume & Mercier intend for it to be their hero offering in the mid-range segment going forward. I say “intend” because, unlike its spiritual predecessor, competition in and around this pricepoint is considerably tougher — especially given paradigms in the watch collecting community about how perpetual calendars should look and feel. 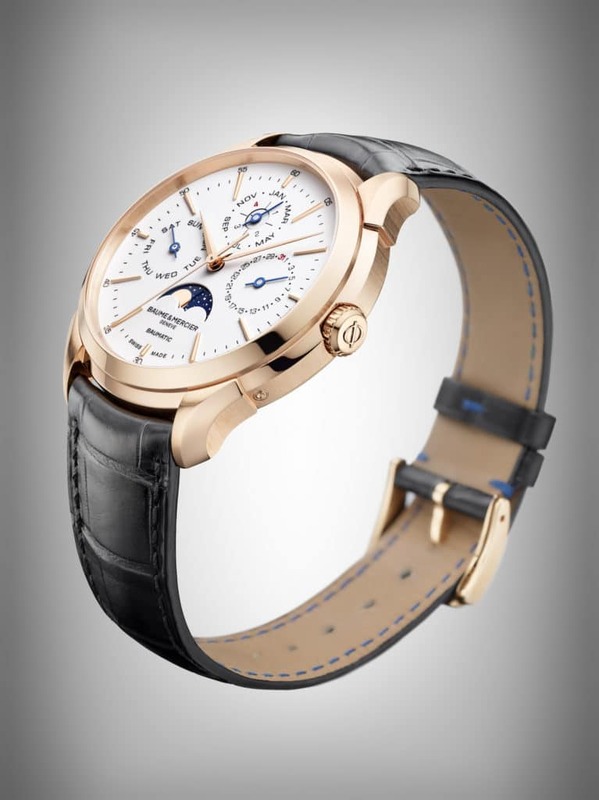 To the Clifton QP’s credit, what you get for HK$178,000 is an in-house movement (the calendar complication is installed via module), sensible dial and solid red gold case. But given the asymmetry of the pricing with the rest of the Clifton collection, a survey of other mid-market brands is necessary so as to keep things in perspective. 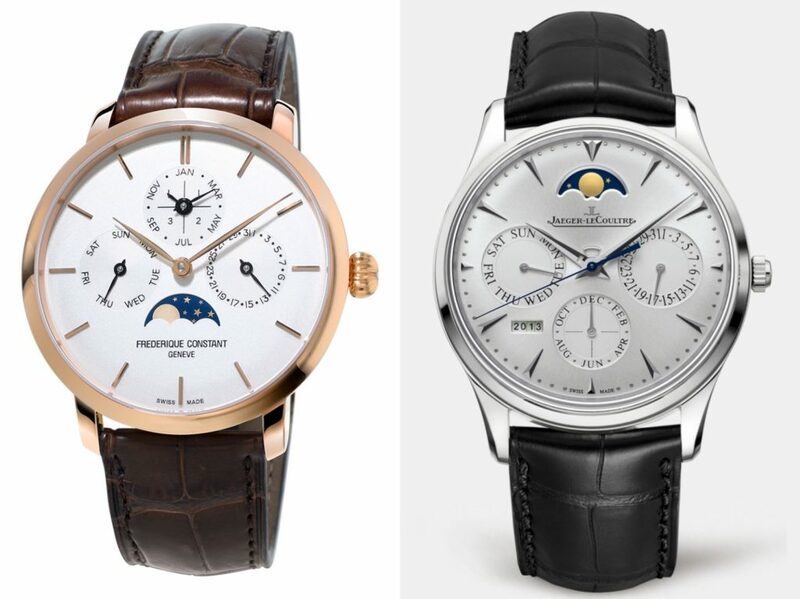 Two compelling alternatives to the Baumatic QP (left to right): Frederique Constant’s Slimline (HK$69,500); and the JLC Master Ultra Thin Perpetual (HK$159,000). Even within Richemont Group’s own portfolio, the new Baumatic QP faces stiff competition. 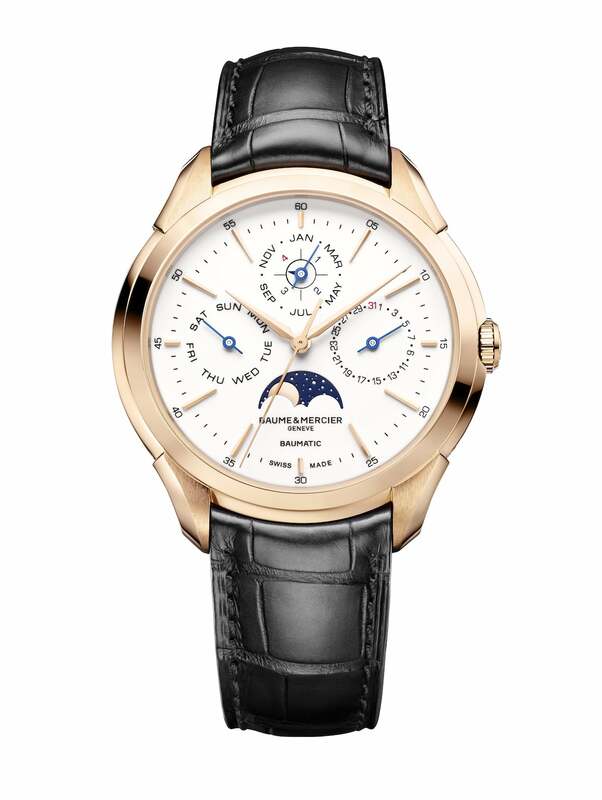 Case in point: the Jaeger-LeCoultre Master collection, which offers ultrathin perpetual calendars starting at HK$159,000 (in stainless steel). Beyond stylistic differences, the Baumatic QP’s 5-day power reserve and red gold case are the most obvious points of distinction; though its JLC analogue evinces a level of fit and finish more typical of what you’d expect from a consummate Swiss calendar. Beyond the Richemont bubble, you’ll find Frederique Constant’s Slimline Perpetual — a 42mm release that, at first glance, looks a lot like the Baumatic QP thanks to gold plating and a lustrous white finish on the dial. Even this kind of anecdotal comparison elucidates the obstacles which Baume & Mercier face: yes, there aren’t many QPs with a full gold case for HK$170,000, but the use of precious metal isn’t the only influential factor at play. Traditionally, the narrative that has surrounded perpetual calendars is one of romance: these are complicated, wilfully anachronistic watches; imbued with a complexity that tends to lend itself to métiers d’art. In that vein, the great challenge for Baume & Mercier’s latest release will be in finding its target audience: the HK$100,000+ price tag invites immediate challenge from watchmakers in the orbit of haute horlogerie, and seems at odds with a marketing strategy that revolves almost entirely around value and accessibility. 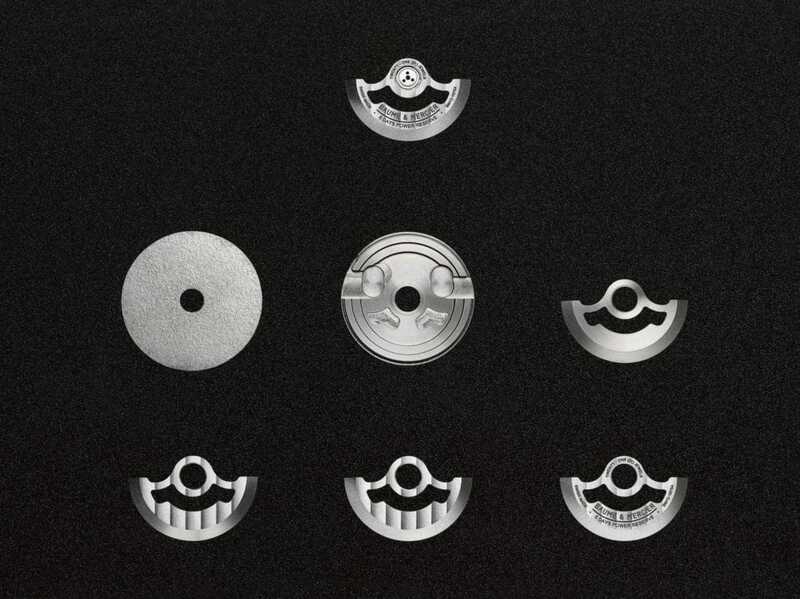 The Baumatic QP is powered by the brand’s ValFleurier-derived calibre BM13 (the components of which are pictured). For the perpetual calendar complication, a third-party module is then added. Putting aside arguments about the Baumatic QP’s price and market positioning, what you’re left with is a pretty solid perpetual calendar that embraces a contemporary aesthetic. The day, month and date registers take up position at 9, 12 and 3 o’clock respectively; with the final intervals in the latter two registers highlighted in red. All numerals are printed, contrasting nicely with the glossy white “porcelain-like” dial. Applied gold-toned indexes are used for the hour markers, and along with the predominantly black numerals make for an extremely legible dial. On the wrist, the Baumatic QP evokes a very sensible wearing experience (its design language emphasises clean block-like cursive). Personally, I wish Baume & Mercier had gone the extra mile and experimented more with typeface and scale — the whole dial has a very 2D quality, thanks to the uniform display elements — but the final execution is likely to prove comprehensible to everyone from horological newcomers to seasoned collectors. The design language which underpins the Baumatic QP dial is clean, sensible and very big on legibility - a must when it comes to reading multiple calendar displays. From the caseback, the iterative calibre BM13 is visible. 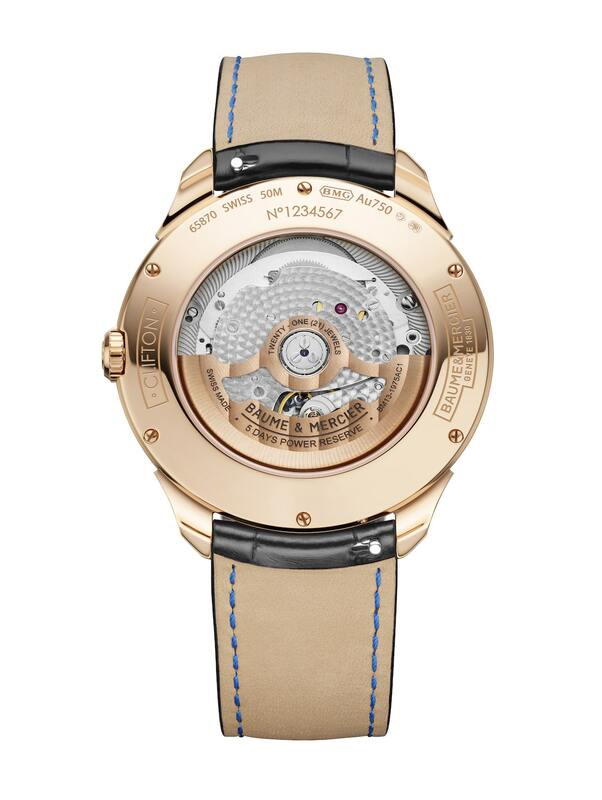 Note the open-worked rotor, which is finished with both Côtes de Genève stripes and snailing. Flip the watch over and you’ll see the BM13 — successor to last year’s widely lauded BM12 — hard at work. The perpetual calendar is actually attached via a bolt-on module manufactured by Dubois Dépraz. Combining this module with a base movement necessitates transitioning to an overly larger case size (this particular Baumatic clocks in at 12.4mm in thickness), though most of the potential chunkiness is offset by the watch’s stepped case and segmented lugs. The movement itself evinces a couple of different finishes (e.g. Côtes de Genève, snailing), although many of the improvements over the BM12 are solely functional: Baume & Mercier assert that this movement only requires servicing once every 7 years; and that the calendar module will adjust accurately until March 2100. That kind of everyday reliability is important, but whether it’ll be enough to justify the unprecedented price-tag is an ongoing discussion. 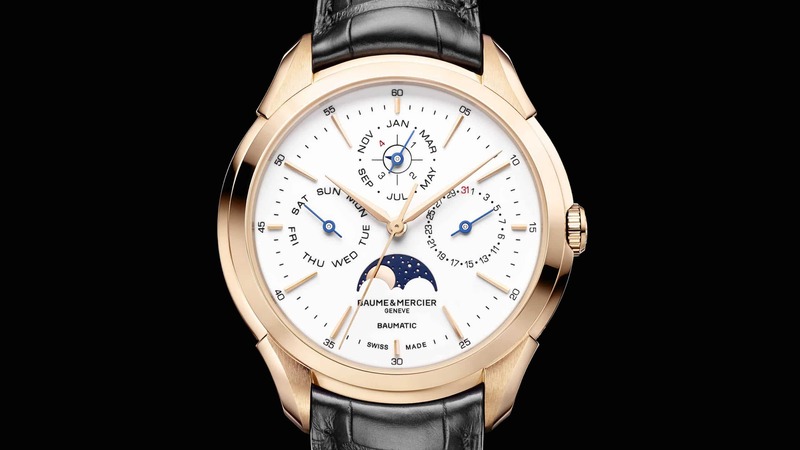 The Baume & Mercier Clifton Baumatic Perpetual Calendar will be available in Hong Kong for HK$178,000. For more information, visit Baume & Mercier online.